Round Rock, Texas, July 11, 2016 – Ambassador Services, a leading provider of staff to Event, Meeting, Convention, Tradeshow, Hospitality & Catering companies for more than 25 years, is giving back to the community with a donation to Assist the Officer (ATO) Foundation. Since 1999 the ATO Foundation has worked to provide financial and emotional assistance to officers and their families. 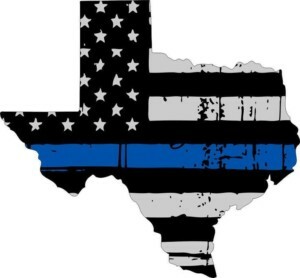 Recent unfortunate events targeting officers resulted in the death of five Dallas police officers. The ATO Foundation offers immediate assistance to an active officer’s family in the case of death. The foundation also helps to assist financially in any events caused by or related to serious injury or a life-threatening illness. The ATO Foundation continues its growth by creating new programs to assist officers. Ambassador Services provides exceptional quality part-time staff for Event, Meeting, Convention and Tradeshow planners, Hospitality & Catering companies and on-site Clerical Staff. Since 1996, Ambassador Services maintains a single focus on the quality required to ensure that Ambassadors exceed client expectations with service unequaled from others in the business. Ambassador Services does not own the picture above.